Feisty, young, and a little bit crazy: sounds like a pretty classic recipe for rocking and rolling. Starcrawler is all those things, and the result is sweet. Visually the band goes for a seventies or eighties look, but its sound has a wider range of influences. Starcrawler looks like it would give a killer live show (you can see some footage on their YouTube). There are glam straightjackets, clothes-tearing, fake-blood drinking, and just a lot of shaking. It’s a good time. The band’s lead singer, Arrow de Wilde, (a very excellent name) already is a magnetic presence. But the rest of the band aren’t slouches. They need to provide a cool rock groove for Arrow to get crazy to. These guys are just out of high school, but they play as well or better than some people twice their age. The kids are better than alright. 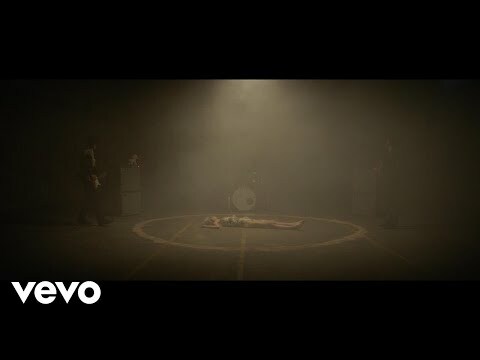 If you ever wanted to mash-up a rock video with The Mummy, Arrow de Wilde in the video for Starcrawler’s “Let Her Be” is probably that. It was a tough choice to decide whether to feature the video for “Let Her Be,” or “I Love L.A.” but I opted for the first one because it doesn’t have a sketch at the beginning (even though the sketch in “I Love L.A.” is pretty fun: I for one would love to go to a donut/Chinese food place, though maybe one that isn’t run by Starcrawler. So much fake blood in the donuts). Either way, you should check out both. Also, “Let Her Be” just hits really hard and is a good introduction to the world of Starcrawler. Thus, please enjoy.